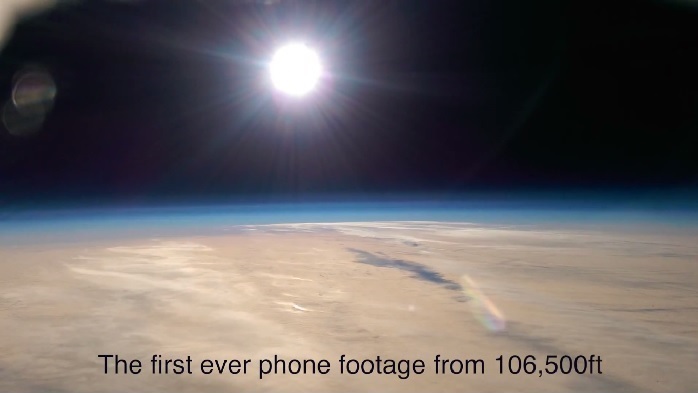 An inventor attached a stack of HTC One smartphones to a weather balloon and sent them so high into the air that he managed to record the curvature of the earth. Adding to this stunt were fireworks fire above the clouds, at some 20,000ft above ground level; and recorded using the camera on the phone. Colin Furze, a British inventor, has built a Youtube channel based completely around making machines and devices that would generally be classified as safety hazards by most people. Many of his creations draw inspiration from the X-men comics, like his retractable Wolverine claws, magnetic boots for walking upside down, and even a wrist mounted flamethrower. 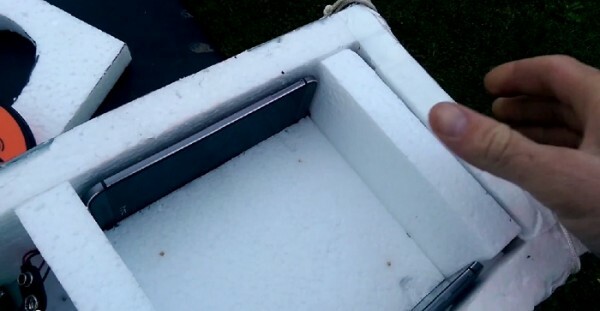 Getting the HTC One M8s into the stratosphere appeared to be a generally easy task, with the phones mounted into a polystyrene box to insulate them from the sub-zero temperatures in the upper atmosphere. Initial testing showed that the phone batteries wouldn’t survive very long in cold, and proper insulation was necessary to keep the phones recording video for at least two continuous hours. Impressively, Furze did not end up using a external battery packs. The smartphones were supplied to Furze by HTC as part of the #Creatography campaign, which puts HTC phones in the hands of individuals for them to do as they wish. While most took at artistic or humanitarian approach to the opportunity presented, it is nice to see someone go completely crazy with technology.